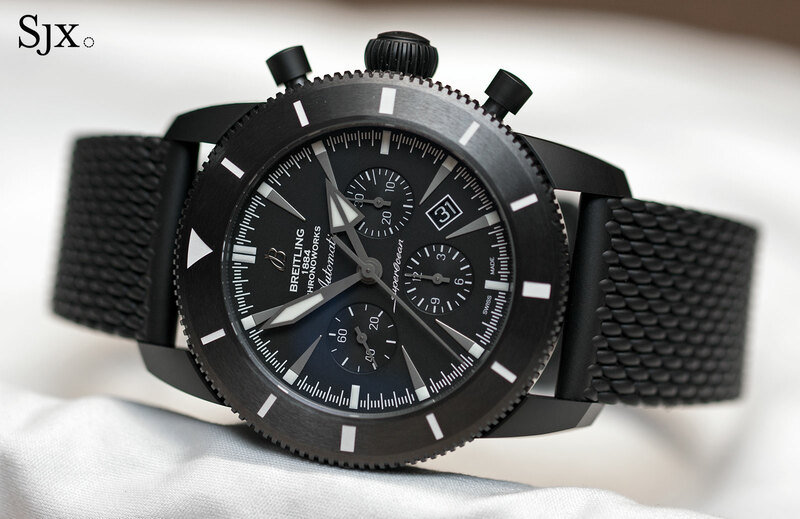 At Baselworld 2016 Breitling unveiled the rather ordinary look Superocean Chronoworks with an eye-watering price of almost US$40,000 – about five times the typical Breitling chronograph. That’s hard to believe until you realise the Chronoworks is the equivalent of Mercedes-AMG or BMW M – tweaked, tuned and majorly re-engineered. The monochromatic, plain in fact, aesthetic of the Chronoworks belies the remarkably high-tech movement that combines many innovations of contemporary watchmaking in both materials and production technology. But the Chronoworks is not a fantasy concept watch, it is a 100-piece limited edition ready for sale, albeit at an absurd price. It’s a viable candidate for most interesting watch of 2016. Based on Breitling’s in-house Calibre 01 movement, the Chronoworks has been upgraded to for high performance and ultra-efficient running, which actually translates into something more prosaic: a more practical watch with more stable timekeeping and a longer power reserve. The ordinary Calibre 01 is, well, quite ordinary, being similar to other chronograph movements in the same price range. Breitling’s goal was improve the efficiency of the Calibre 01 – and the watchmaker succeeded, boosting the power reserve by 45 percent. Five key features of the Chronoworks made this progress possible. Though not all of the features are entirely new, this is the first time they have been combined in a single movement in a watch that is commercially available. 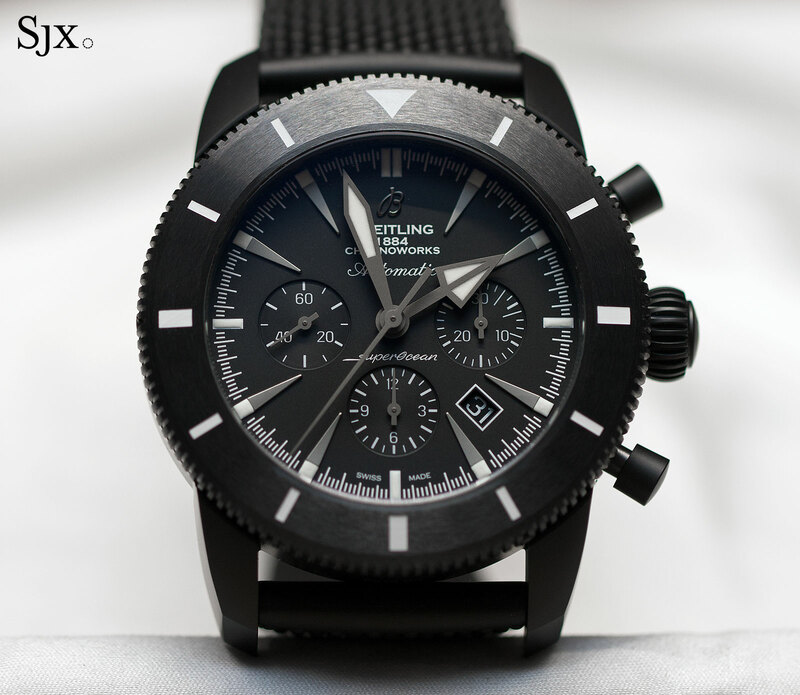 To start with Breitling revamped the very foundations of the watch, making the base plate and bridges for the gear train out of black ceramic. Traditionally these components are made of rhodium-plated brass, which necessitates lubricated jewelled bearings for the pivots to reduce friction and wear. Replacing brass with hexagonal boron nitride, which has a low coefficient of friction, reduces the jewel count of the movement from 47 to 36. That’s because the arbors can sit directly in the base plate, and do not require lubrication. 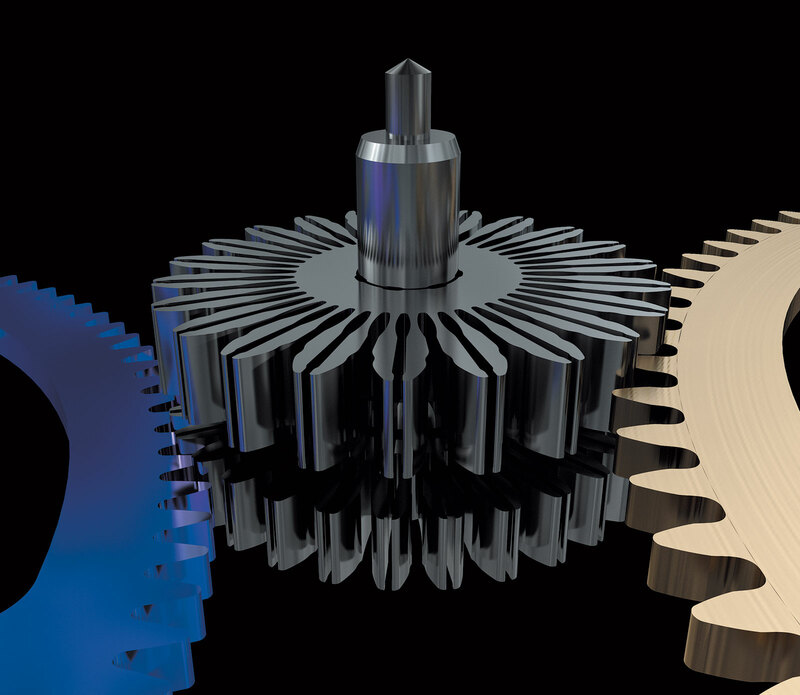 Further efficiency gains come from silicon wheels in the gear train. The centre, third and fourth wheels are made of silicon, a material that’s half the weight of brass and also boasts a low coefficient of friction. Because silicon wheels are produced via a process known as deep-reactive ion etching (DRIE), the same process used to make silicon wafers, the wheels can be precisely formed into unconventional shapes. Consequently the silicon wheels of the gear train have angled spokes to enhance its rigidity. Silicon is also used in the escapement for the escape wheel and pallet fork. This parts are also made via DRIE, allowing them to be redesigned for greater efficiency. The pallet fork, for instance, is partially open-worked to reduce its weight. 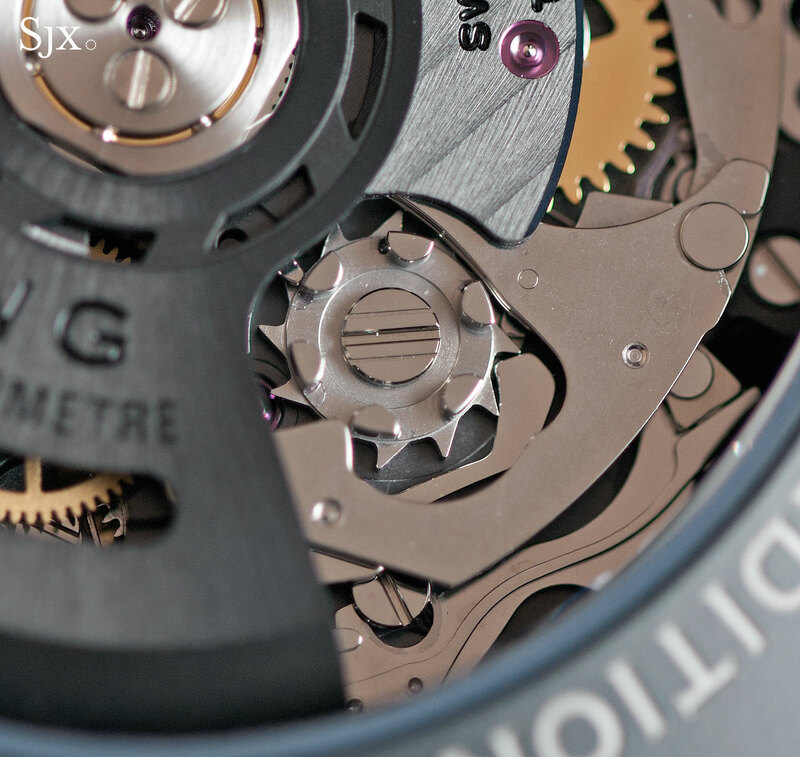 Breitling also designed an bi-metallic variable inertia balance wheel for the Chronoworks. This free-sprung balance wheel has four gold weights on the edge of its ring. Unusually, the balance wheel is made two parts in different metals: a nickel ring combined with a brass cross on top, making it the modern equivalent of the old fashioned bimetallic balance found in marine chronometers. These two alloys expand and contract differently with temperate changes, compensating for each other. When the ambient temperature rises, brass (being more temperature sensitive) expands at a fast rate than nickel. Thus the brass cross expands and pushes the ends of the ring towards the centre, effectively shrinking the balance wheel. This reduces its inertia, compensating for the increased elasticity of the hairspring as temperatures rise. And the final notable feature of the Chronoworks are wheels with elastic toothing, which are also produced via UV-LIGA. Similar elastic teeth have been used by Cartier in its top of the line complications, as well as movement specialist Agenhor, all of whom rely on Mimotec, a specialist in UV-LIGA based in Sion, a town in Southern Switzerland. 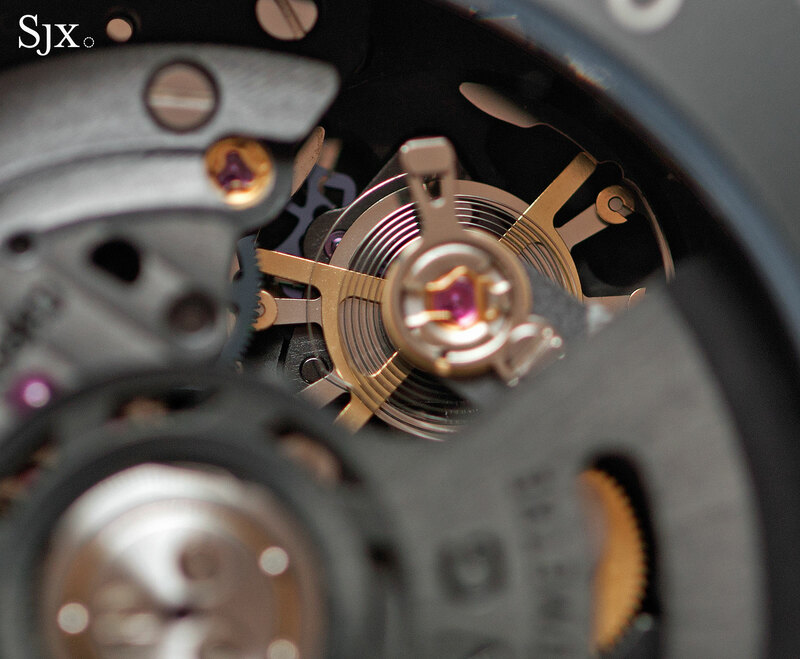 Breitling’s elastic toothed gears are inside the vertical clutch for the chronograph, the same wheels that transmit power from the base movement to the chronograph once it has been started. Each tooth on thse wheels have a lengthwise slits, allowing the teeth to mesh more snugly. This gets rid of of the possible seconds hand stutter or jump when starting the chronograph, since there is almost no play in the teeth. And it boosts efficiency by eliminating the friction spring that is traditionally used to prevent the stutter. 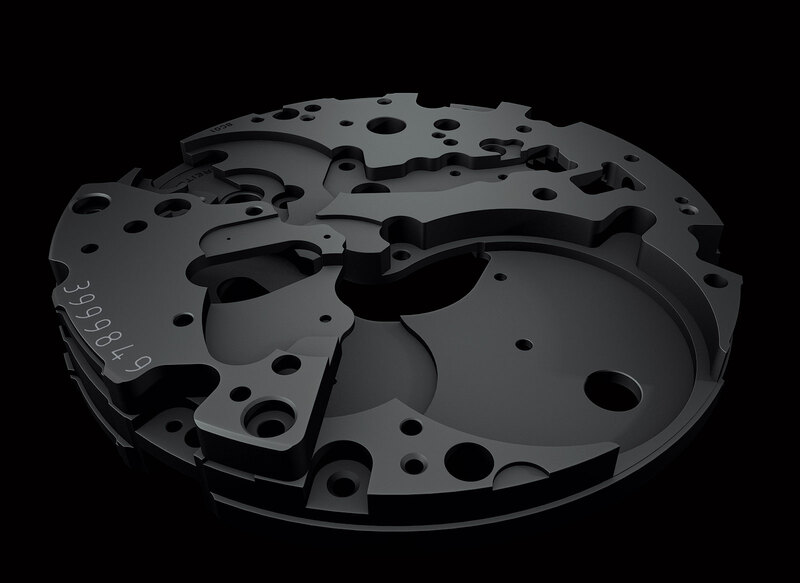 And the Chronoworks also has a longer and thinner mainspring than the basic Calibre 01. 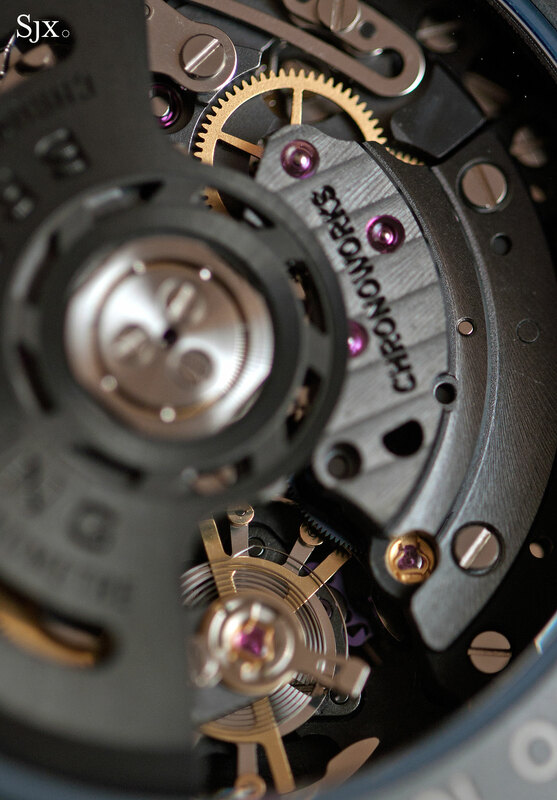 While the Calibre 01 has a 70-hour power reserve, the Chronoworks manages 100 hours. This 45 percent increase is achieved without making the watch bigger; the Chronoworks movement has the same volume as the ordinary Calibre 01. While the movement is novel, the rest of the watch is somewhat common looking, so stealthy as to be totally inverse to what is inside. 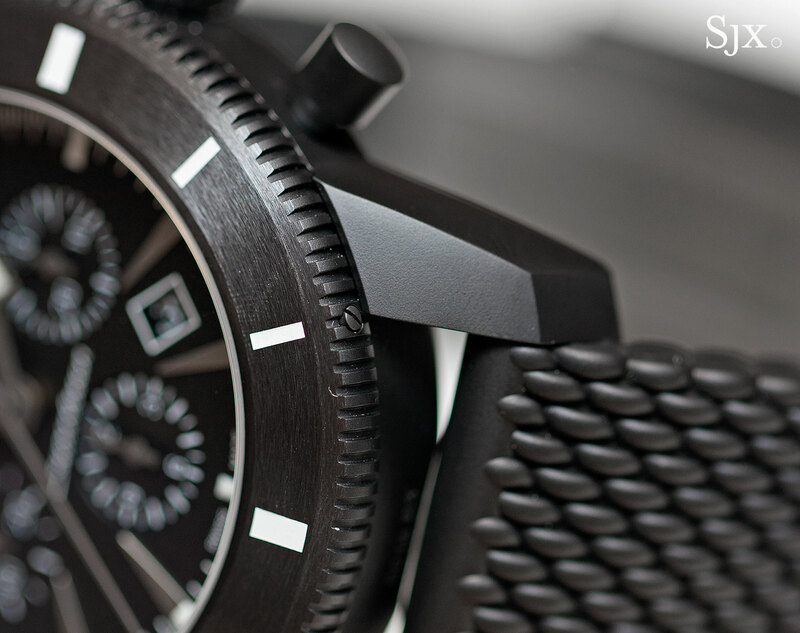 Very similar to the Superocean Heritage Chronograph from the standard collection, the case is 46mm and made of matte black ceramic, while the dial sticks to the style of the Superocean Heritage with some minor visual adaptations. 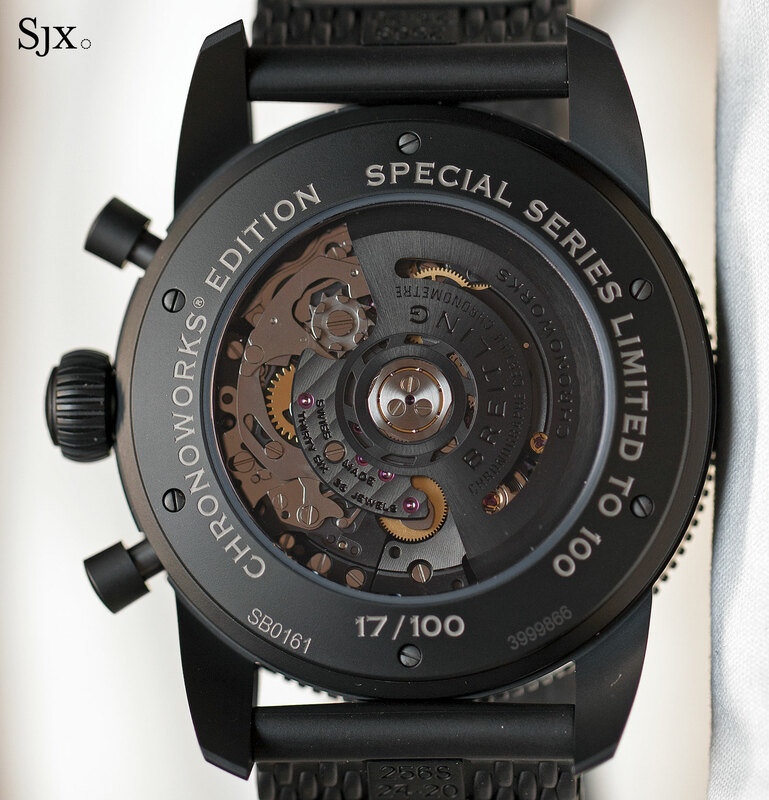 The Chronoworks retails for US$39,295. Breitling deserves praise for putting together a watch that is packed with useful technology that makes regular watches better. But that’s an preposterous price that’s as far removed from the average Breitling chronograph as it is from reality. While every novel feature inside the Chronoworks is useful and well conceived, such features are the sort that will get more affordable with time and economies of scale. Expect them to make their way into more accessibly priced watches in the future. Update July 22, 2016: Including information on other firms that use elastic toothing in their movements.